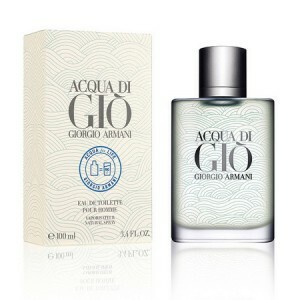 Armani Acqua Di Gio Pour Homme Acqua for Life aromas of summer, sea, holiday & sun. 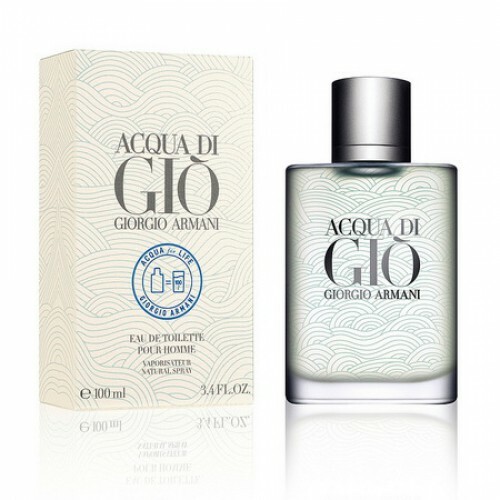 Armani Acqua Di Gio Pour Homme Acqua for Life 100ml. is a new perfume creation of the famous Italian brand Giorgio Armani. Aroma with incredibly fresh, sea accord. In this composition, and the sea breeze and the cold spray of waterfalls in Italy, and the air is filled with ozone freshness. Water, fern composition opens with notes of bergamot, sea water, neroli. The heart consists of notes of fennel and rosemary. The loop lead notes French labdanum, amber and patchouli. Perfume Acqua di Gio Pour Homme Acqua for Life will be perfect for an elegant, confident, free-spirited man. Buy scented water Giorgio Armani Acqua di Gio Pour Homme Aqua For Life is recommended for the warmer months. A resolutely masculine fragrance born from the sea, the sun, the earth, and the breeze of a Mediterranean island. Transparent, aromatic, and woody in nature, Aqua Di Gio Pour Homme is a contemporary expression of masculinity, in an aura of marine notes, fruits, herbs, and woods.Notes:Marine Notes, Mandarin, Bergamot, Neroli, Persimmon, Rosemary, Nasturtium, Jasmine, Amber, Patchouli, Cistus. Style: Transparent, modern, and masculine. even overcast day grace the soft scent of citrus and fill it with a tropical sun. A careless ease astringent persimmon sweet and tender as fleeting pleasant memory, even among the rigor and elegance of wood shades and aristocratic notes of rosemary, bergamot forced smile and a man, and the one who is next to him.